CGTalk | Optimize 3D models: Atangeo Balancer 2.0 released! 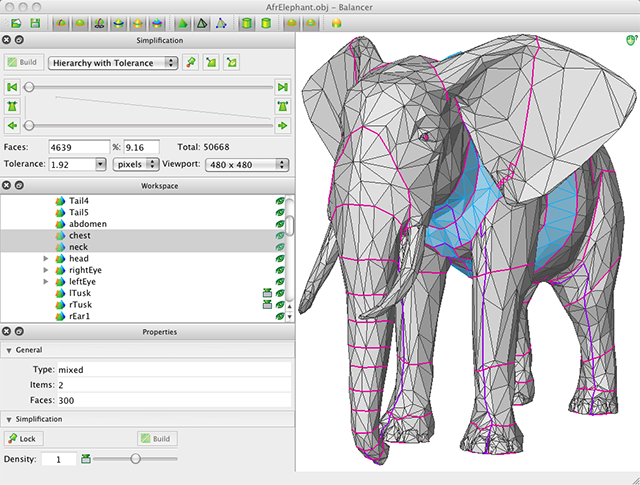 Optimize 3D models: Atangeo Balancer 2.0 released! simplified models at different triangle count. model’s silhouette won’t differ by more than 3 pixels. I found balancer easy to use and brilliant at what it does, also ridiculously cheap. I mainly use Mudbox which has no decimation tool, so Balancer fits in quite nicely. Sorry to sound like a testimonial, but this app deserves high praise.